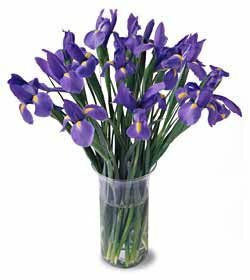 This basic, but elegant bunch of irises is a great gift for any iris fan. Delivered without a vase. Will be substituted with other spring flowers if unavailable.